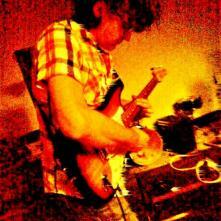 MKF's Approach is a solo project by Michel Kristof: electric guitar, electric esraj, sitar, other electrified indian instruments and tape manipulations. Since 2010 Michel is in the free jazz godfather Sonny Simmons' Moksha Samnyasin with Thomas Bellier (Blaak Heat Shujaa) and Sébastien Bismuth (Abrahma). Done guest appearances with Ehécatl. Since 2011 one of the two members of the free kraut noise band "Other Matter", also released on Mahorka with their work "Supernova Remnants". "My solo work as "MKF’s Approach" stems from an atmosphere that comes to my mind, and develops according to this mood and the story it inspires me to tell. The execution and choice of instruments is then staged (with a particular attention to details) as to render, as faithfully as possible, the feeling of the song. Here, tape manipulations have their most important part. Or the hazards of a poor quality guitar! The idea is not necessarily to provide nice and orderly landscapes: the sounds and stories heard rather follow the intentional or unintentional curves of playing the instruments. There are even pieces where success lies in the fact that the listener does not listen to the whole song! Or a megalomaniac vision sounds of the universe! In short, no preconceived plan: a sense of playing whose successes and accidents determine what is expressed. Few years of studying Indian music with my master Chunilal Pandey in Varanasi (sitar) gave me a frame and sense of the mood; and the electric guitar to get the big sound. 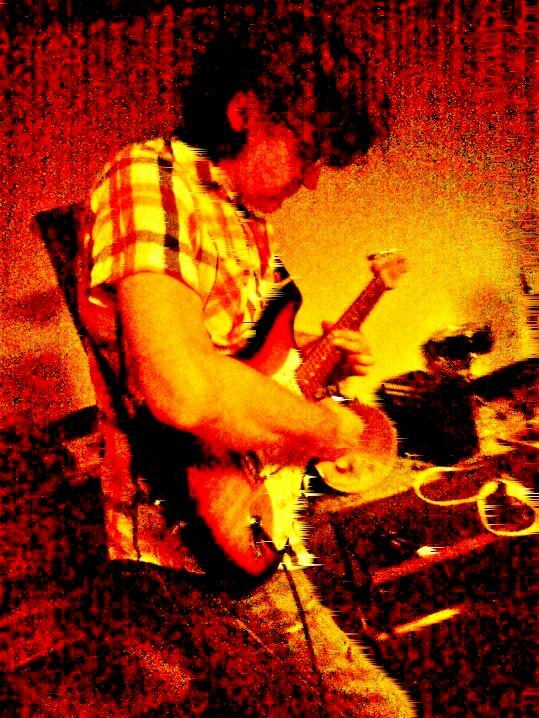 Then 21 years of total non-musical practice, "just" listening to the free jazz of 1960s and 70s, the electric guitars of Jimi Hendrix, Japanese noise, baroque music and contemporary European music ... all sounds that have slowly worked their ways in my Uncounscious. In 2011 I returned to sitar at the urge of Sonny Simmons to help him shape his obsession of the East. And a return to my beloved guitar! Hoping that the life of a salaryman does not prevent me to continue this process of expression in the near future…"